West Palm Beach, Florida: Paradies Lagardère, the travel retail and restaurateur leader in the nation expands its efforts focused on improving the customer experience by adding 100 more HappyOrNot Smiley Terminals to select airport locations. Operating more than 850 stores and restaurants in 98 airports, Paradies Lagardère’s goal is to create memorable and positive shopping and dining experiences for today’s travelers. HappyOrNot Smiley Terminals were originally piloted in retail locations in Palm Beach and Fort Lauderdale-Hollywood International Airports, both located in South Florida. 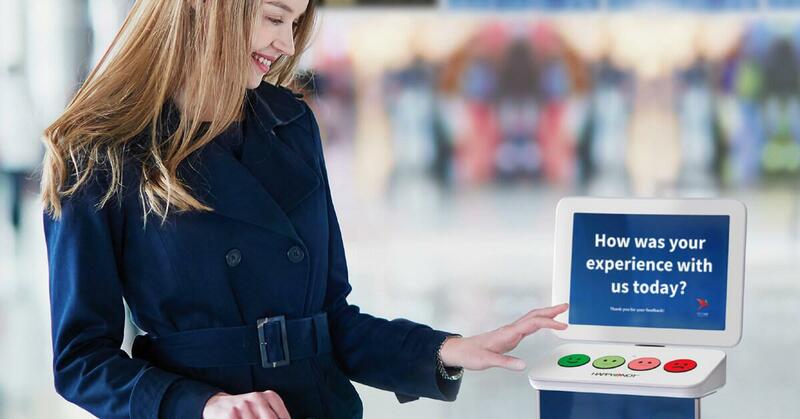 Taking only seconds, passengers rated their experience at check out or upon exiting by selecting 1 of 4 Smiley buttons (very happy, happy, sad, very sad) to represent their satisfaction level. With the HappyOrNot innovative data collection and reporting system, Paradies Lagardère’s team members were able to receive this feedback in near real-time and work quickly to correct any negative perceptions. With the International Air Transport Association (IATA) reporting that 4 billion air travelers will fly this year and that number expected to double by 2036, this expanded partnership between Paradies Lagardère and HappyOrNot will begin to set the bar for overall traveler experience performance. HappyOrNot was founded by Heikki Väänänen and Ville Levaniemi. The company has more than 4,000 clients in 117 countries. Clients include Microsoft, McDonald’s, London’s Heathrow Airport, LinkedIn and Levi’s Stadium, the home of the San Francisco 49ers. HappyOrNot is considered the global leader in instant customer and employee satisfaction reporting. HappyOrNot assists companies in improving customer experience, relationships and engagement across all business sectors. Visit https://www.happy-or-not.com/ for more information. Paradies Lagardère, the travel retail and restaurateur leader in North America, operates more than 850 stores and restaurants in 90 airports. The company specializes in three airport concessions areas: Travel Essentials, Specialty Retail and Food and Beverage, and has expertise in international, national and local brands. Paradies Lagardère’s commitment to exceptional customer service, superior design and award-winning store and restaurant operations and management has earned the company numerous accolades from the travel industry, including being named Best Airport Retailer for 23 consecutive years by Airport Experience News magazine (formerly Airport Revenue News magazine). Paradies Lagardère’s headquarters is in Atlanta, Ga., with an office in Toronto, Ontario. For more information, visit www.paradieslagardere.com.